Unsupervised learning In this approach there are no known results. A model is developed by drawing upon structures present in the data. Clustering and dimensionality reduction are some problems solved this way. Semi-supervised learning In this approach there are known and unknown results. The model has to learn structures present in the data and also make predictions. (1). Deep learning seems to be getting the most press right now. It is a form of a Neural Network (with many neurons/layers). Articles are currently being published in the New Yorker and the New York Times on Deep Learning. (2). Combining Support Vector Machines (SVMs) and Stochastic Gradient Decent (SGD) is also interesting. SVMs are really interesting and useful because you can use the kernel trick to transform your data and solve a non-linear problem using a linear model (the SVM). A consequence of this method is the training runtime and memory consumption of the SVM scales with the size of the data set. This situation makes it very hard to train SVMs on large data sets. SGD is a method that uses a random process to allow machine learning algorithms to converge faster. To make a long story short, you can combine SVMs and SGD to train SVMs on larger data sets (theoretically). (3). Because computers are now fast, cheap, and plentiful, Bayesian statistics is now becoming very popular again (this is definitely not "new"). For a long time, it was not feasible to use Bayesian techniques because you would need to perform probabilistic integration by hand (when calculating the evidence). Today, Bayesist are using Monte Carlo Markov Chains, Grid Approximations, Gibbs Sampling, Metropolis Algorithm, etc. (4). Any of the algorithms described in the paper "Map Reduce for Machine Learning on a Multicore". This paper talks about how to take a machine learning algorithm/problem and distribute it across multiple computers/cores. It has very important implications because it means that all of the algorithms mentioned in the paper can be translated into a map-reduce format and distributed across a cluster of computers. Essentially, there would never be a situation where the data set is too large because you could just add more computers to the Hadoop cluster. This paper was published a while ago, but not all of the algorithms have been implemented into Mahout yet. Structured data is organized in a way that both computers and humans can read. The most obvious example is a relational database. Semi-structured data, which includes XML, email and electronic data interchange (EDI), lacks such formal structure but nonetheless contains tags that separate semantic elements. Semi-structured data does not have a form but does have tags that help create structured-like hierarchies. Unstructured data refers to data types, including images, audio, and video, which are not part of a database. It has no clear or consistent structure and no formal data model (FDM). Unstructured data is created by new data sources, many of which did not even exist at the dawn of the database. Every time one uses a mobile device to place a call, sends a text message, views (or posts) a video or interacts with a website, that creates data. Every transaction, in any context, creates data, as does every email. The content that populates every Web venue from the text, images and rich media content built by site owners, to social networking content created by potentially any Web user at any time from anywhere around the globe—creates data. Even phone calls, if they are delivered as packets over an IP network, are now data. QUESTION 1: What are the limits of deep learning? The “classical” forms of deep learning include various combinations of feed-forward modules (often convolutional nets) and recurrent nets (sometimes with memory units, like LSTM or MemNN). These models are limited in their ability to “reason”, i.e. to carry out long chains of inferences, or optimization procedure to arrive at an answer. The number of steps in a computation is limited by the number of layers in feed-forward nets, and by the length of time a recurrent net will remember things. Deep learning is certainly limited in its current form because almost all the successful applications of it use supervised learning with human-annotated data. We need to find ways to train large neural nets from “raw” non-annotated data so they capture the regularities of the real world. As I said in a previous answer, my money is on adversarial training. QUESTION 2: What are the pros and cons of Generative Adversarial Networks vs Variational Autoencoders? An advantage for VAEs (Variational AutoEncoders) is that there is a clear and recognized way to evaluate the quality of the model (log-likelihood, either estimated by importance sampling or lower-bounded). Right now it’s not clear how to compare two GANs (Generative Adversarial Networks) or compare a GAN and other generative models except by visualizing samples. A disadvantage of VAEs is that, because of the injected noise and imperfect reconstruction, and with the standard decoder (with factorized output distribution), the generated samples are much more blurred than those coming from GANs. The fact that VAEs basically optimize likelihood while GANs optimize something else can be viewed both as an advantage or a disadvantage for either one. Maximizing likelihood yields an estimated density that always bleeds probability mass away from the estimated data manifold. GANs can be happy with a very sharp estimated density function even if it does not perfectly coincide with the data density (i.e. some training examples may come close to the generated images but might still have nearly zero probability under the generator, which would be infinitely bad in terms of likelihood). GANs tend to be much more finicky to train than VAEs, not to mention that we do not have a clear objective function to optimize, but they tend to yield nicer images. Representation. A classifier must be represented in some formal language that the computer can handle. Conversely, choosing a representation for a learner is tantamount to choosing the set of classifiers that it can possibly learn. This set is called the hypothesis space of the learner. If a classifier is not in the hypothesis space, it cannot be learned. A related question, which we will address in a later section, is how to represent the input, i.e., what features to use. Evaluation. An evaluation function (also called objective function or scoring function) is needed to distinguish good classifiers from bad ones. The evaluation function used internally by the algorithm may differ from the external one that we want the classifier to optimize, for ease of optimization (see below) and due to the issues discussed in the next section. Optimization. Finally, we need a method to search among the classifiers in the language for the highest-scoring one. The choice of optimization technique is key to the efficiency of the learner, and also helps determine the classifier produced if the evaluation function has more than one optimum. It is common for new learners to start out using off-the-shelf optimizers, which are later replaced by custom-designed ones. At the end of the day, some machine learning projects succeed and some fail. What makes the difference? Easily the most important factor is the features used. If you have many independent features that each correlates well with the class, learning is easy. On the other hand, if the class is a very complex function of the features, you may not be able to learn it. Often, the raw data is not in a form that is amenable to learning, but you can construct features from it that are. This is typically where most of the effort in a ma- chine learning project goes. It is often also one of the most interesting parts, where intuition, creativity and “black art” are as important as the technical stuff. First-timers are often surprised by how little time in a ma- chine learning project is spent actually doing machine learn- ing. But it makes sense if you consider how time-consuming it is to gather data, integrate it, clean it and pre-process it, and how much trial and error can go into feature design. Also, machine learning is not a one-shot process of building a data set and running a learner, but rather an iterative process of running the learner, analyzing the results, modifying the data and/or the learner, and repeating. Learning is often the quickest part of this, but that’s because we’ve already mastered it pretty well! Feature engineering is more difficult because it’s domain-specific while learners can be largely general-purpose. However, there is no sharp frontier between the two, and this is another reason the most useful learners are those that facilitate incorporating knowledge. 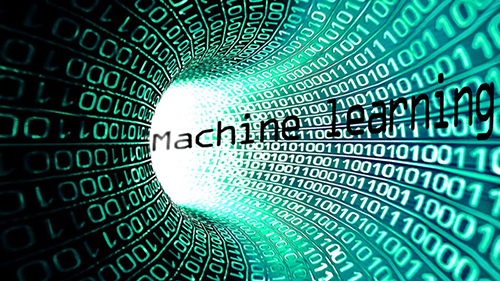 Machine learning is the body of research related to automated large-scale data analysis. Historically, the field was centered around biologically inspired models, and the long-term goals of much of the community are oriented to producing models and algorithms that can process information as well as biological systems. The field also encompasses many of the traditional areas of statistics with, however, a strong focus on mathematical models and also prediction. Machine learning is now central to many areas of interest in computer science and related large-scale information processing domains. Machine learning addresses the question of how to build computers that improve automatically through experience. It is one of today’s most rapidly growing technical fields, lying at the intersection of computer science and statistics, and at the core of artificial intelligence and data science. Recent progress in machine learning has been driven both by the development of new learning algorithms and theory and by the ongoing explosion in the availability of online data and low-cost computation. The adoption of data-intensive machine-learning methods can be found throughout science, technology and commerce, leading to more evidence-based decision-making across many walks of life, including healthcare, manufacturing, education, financial modeling, policing, and marketing. Despite recent breakthroughs in the applications of deep neural networks, one setting that presents a persistent challenge is that of “one-shot learning.” Traditional gradient-based networks require a lot of data to learn, often through extensive iterative training. When new data is encountered, the models must inefficiently relearn their parameters to adequately incorporate the new information without catastrophic interference. Architectures with augmented memory capacities, such as Neural Turing Machines (NTMs), offer the ability to quickly encode and retrieve new information, and hence can potentially obviate the downsides of conventional models. Here, we demonstrate the ability of a memory-augmented neural network to rapidly assimilate new data, and leverage this data to make accurate predictions after only a few samples. We also introduce a new method for accessing an external memory that focuses on memory content, unlike previous methods that additionally use memory location-based focusing mechanisms. We present a variety of new architectural features and training procedures that we apply to the generative adversarial networks (GANs) framework. We focus on two applications of GANs: semi-supervised learning, and the generation of images that humans find visually realistic. Unlike most work on generative models, our primary goal is not to train a model that assigns high likelihood to test data, nor do we require the model to be able to learn well without using any labels. Using our new techniques, we achieve state-of-the-art results in semi-supervised classification on MNIST, CIFAR10 and SVHN. The generated images are of high quality as confirmed by a visual Turing test: our model generates MNIST samples that humans cannot distinguish from real data and CIFAR-10 samples that yield a human error rate of 21.3%. We also present ImageNet samples with unprecedented resolution and show that our methods enable the model to learn recognizable features of ImageNet classes. Deeper neural networks are more difficult to train. We present a residual learning framework to ease the training of networks that are substantially deeper than those used previously. We explicitly reformulate the layers as learning residual functions with reference to the layer inputs, instead of learning unreferenced functions. We provide comprehensive empirical evidence showing that these residual networks are easier to optimize, and can gain accuracy from considerably increased depth. On the ImageNet dataset we evaluate residual nets with a depth of up to 152 layers—8× deeper than VGG nets  but still having lower complexity. An ensemble of these residual nets achieves 3.57% error on the ImageNet test set. This result won the 1st place on the ILSVRC 2015 classification task. We also present analysis on CIFAR-10 with 100 and 1000 layers. The depth of representations is of central importance for many visual recognition tasks. Solely due to our extremely deep representations, we obtain a 28% relative improvement on the COCO object detection dataset. Deep residual nets are foundations of our submissions to ILSVRC & COCO 2015 competitions1, where we also won the 1st places on the tasks of ImageNet detection, ImageNet localization, COCO detection, and COCO segmentation. 1. The Elements of Statistical Learning (ESL), Trevor Hastie etc. During the past decade, there has been an explosion in computation and information technology. With it have come vast amounts of data in a variety of fields such as medicine, biology, finance, and marketing. The challenge of understanding these data has led to the development of new tools in the field of statistics and spawned new areas such as data mining, machine learning, and bioinformatics. Many of these tools have common underpinnings but are often expressed with different terminology. This book describes the important ideas in these areas in a common conceptual framework. While the approach is statistical, the emphasis is on concepts rather than mathematics. Many examples are given, with a liberal use of color graphics. It is a valuable resource for statisticians and anyone interested in data mining in science or industry. The book's coverage is broad, from supervised learning (prediction) to unsupervised learning. The many topics include neural networks, support vector machines, classification trees and boosting---the first comprehensive treatment of this topic in any book. This graduate-level textbook introduces fundamental concepts and methods in machine learning. It describes several important modern algorithms, provides the theoretical underpinnings of these algorithms, and illustrates key aspects for their application. The authors aim to present novel theoretical tools and concepts while giving concise proofs even for relatively advanced topics. Foundations of Machine Learning fills the need for a general textbook that also offers theoretical details and an emphasis on proofs. Certain topics that are often treated with insufficient attention are discussed in more detail here; for example, entire chapters are devoted to regression, multi-class classification, and ranking. The first three chapters lay the theoretical foundation for what follows, but each remaining chapter is mostly self-contained. The appendix offers a concise probability review, a short introduction to convex optimization, tools for concentration bounds, and several basic properties of matrices and norms used in the book. The Deep Learning textbook is a resource intended to help students and practitioners enter the field of machine learning in general and deep learning in particular. The online version of the book is now complete and will remain available online for free. Deep learning is to allow computers to learn from experience and understand the world in terms of a hierarchy of concepts, with each concept deﬁned in terms of its relation to simpler concepts. By gathering knowledge from experience, this approach avoids the need for human operators to formally specify all of the knowledge that the computer needs. The hierarchy of concepts allows the computer to learn complicated concepts by building them out of simpler ones. 8. Statistical Learning with Sparsity The Lasso and Generalizations (SLS), Trevor Hastie and etc. 9. Fundamentals of Machine Learning for Predictive Data Analytics: Algorithms, Worked Examples, and Case Studies, John D. Kelleher and etc. 1946: the first computer system ENIAC was developed. 1950: Alan Turing proposed a test based on the idea that we can only determine if a machine can actually learn if we communicate with it and cannot distinguish it from another human. 1952: Arthur Samuel in IBM wrote the first game-playing program, for checkers, to achieve sufficient skill to challenge a world champion. Samuel’s machines learning programs improved the performance of checkers players. 1957: Frank Rosenblatt showed that by combining a large number of classifiers in a network a powerful model could be created. 1964: ELIZA system developed by Joseph Weizenbaum. ELIZA simulated a psychotherapist by using tricks like string substitution and canned responses based on keywords.